The Fina Electric Adjustable Bed is a modern Full Divan Electric Adjustable Bed which will complement any bedroom. Scroll down for Prices, or Click here for Full Price List. The photo is of a Single Mechanism/Single Mattress 4ft (Large single Bed) Fina Electric Adjustable Bed. The 5ft & 6ft Fina are both Dual Beds, with 2 Adjustable Mechanisms, and 2 Mattresses, for Independent Movement.Height : 51 inches. Overall Bed Length : 6ft 10inches(82 inches).If you are interested in a Fina Divan Style Bed, with a High-Low Mechanism, please see Fina-Superior Electric Adjustable Bed. The Fina electric adjustable bed is hand crafted in Ireland. Single Mattress : 2ft.6inch, 3foot, 4foot, 4ft.6inch.Dual Mattress : 5foot, 6foot.A wide range of colours of fabrics are available for The Fina Full Divan bed, with matching headboard and bed base.Scroll down for Prices, or Click here for Full Price List. The Skellig Cream Electric Adjustable Bed is a stunning piece of designer Bedroom Furniture which fits perfectly into the contemporary Irish Home.Scroll down, or Click Here for Full Price List of Skellig Electric Adjustable Bed RangeThis beautiful piece has a Cream Finish with a Contemporary Grey Trim.Each Irish-Manufactured item is crafted to the highest standards using traditional skills and materials.The Skellig Electric Adjustable Bed Range are also available in Extra Long Length for the Taller Person.Click here for more information.The Skellig Cream Electric Adjustable Bed also comes in a beautiful White Finish :Skellig White Electric Adjustable Bed.Sizes Available :3 Foot(Single) @ €1,695.00 4 Foot(Large Single) @€1,995.00 4 Foot 6inches(Small Double) @€2,195.00. 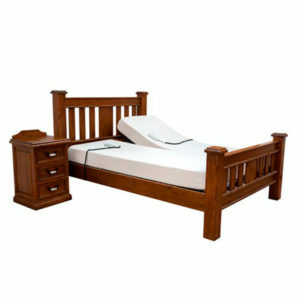 5 Foot(Dual Mattress & Dual Motor) @ €2,695.00. 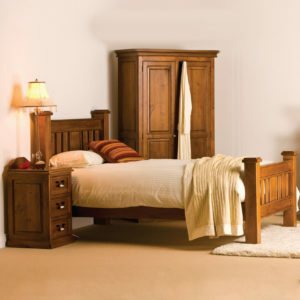 6 Foot(Dual Mattress & Dual Motor) @€2,895.00.The above prices are subject to VAT @23%.Bedroom Furniture available to complement the Skellig Cream Electric Adjustable Bed. The Deirdre Electric Adjustable Bed is a stunning Bed, which also has a beautiful range of designer Bedroom Furniture which fits perfectly into the contemporary Irish home. The Deirdre Electric Adjustable Bed is Irish manufactured and is crafted to the highest standards using traditional skills and materials. The range comes in a choice of Natural (Solid Oak Features), Creme and White. 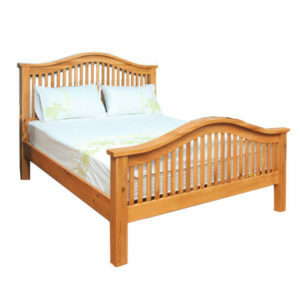 3Foot(Small Single Bed) @€1,450.00. 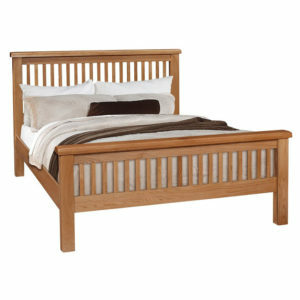 4Foot(Larger Single Bed) @€1,695.00. 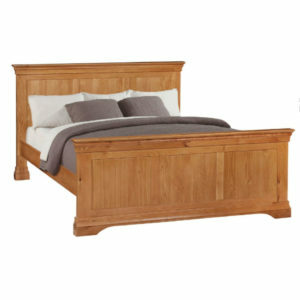 4Foot 6inch(Small Double Bed) @€1,895.00. 5Foot(2 Mattress's, and 2 Mechanisms, Working Independently) @€2,495.00. 6Foot(2 Mattress's, and 2 Mechanisms, Working Independently) @€2,695.00.The above prices are subject to VAT @23%.This VAT payment can be reclaimed if the adjustable bed is purchased for a person with a medical issue using Form : VAT61AOrthopaedic Beds, and Orthopaedic Chairs MAY be Tax Deductable. Please take advice from your Financial Consultant.Bedroom Furniture available to complement the Deirdre Electric Adjustable Bed range.The Deirdre Electric Adjustable Bed is also available in a Low Foot End style.